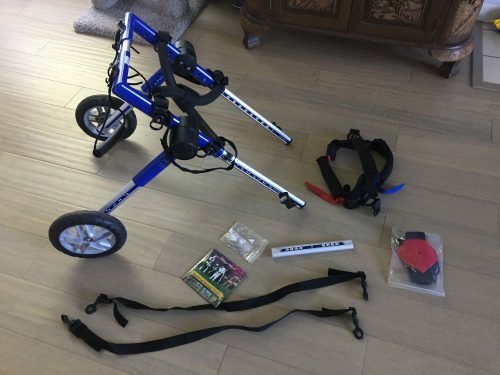 We bought this for our Husky mix who had degenerative myelopathy. He got to use it a few times before he became to weak. It was great to see him out moving around again. He got used to it pretty quickly. He has since passed, but this bought him some active time outside. 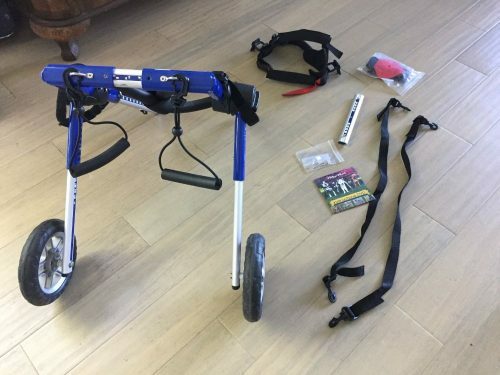 Walkin’ Wheels Dog Wheelchair Medium Dogs 26-49 lbs – Veterinarian Approved – Wheelchair Back Legs For dogs weighing 26-49 pounds with legs 16-18 inches long; the ONLY easy to adjust wheelchair. durable, lightweight aluminum frame; Easy for your dog to maneuver while keeping it stable. 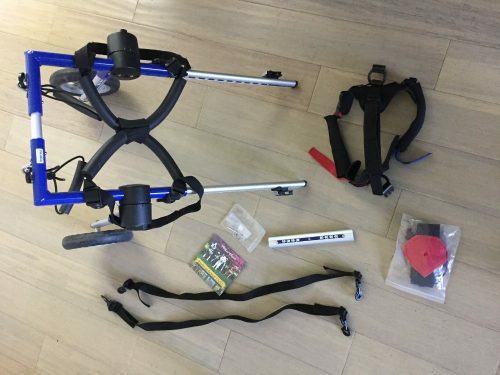 Fully adjustable harnesses provide optimal comfort & mobility; Wheelchair adjustable in height, length, & width. Veterinarian Approved; Suitable for dogs with limited or no mobility in their hind legs. Dense 8 inch foam wheels with rubber treads will not puncture; great for your dog to explore all terrain.